The College of Healthcare Information Management Executives (CHIME) is reiterating its call to immediately shorten the reporting period for 2015, as substandard meaningful use low Stage 2 attestation numbers lag for the 2014 program year, the organization said in a statement. According to the data recently released by the Centers for Medicaid and Medicare Services (CMS) during the Health IT Policy Committee meeting, less than 35 percent of the nation’s hospitals have met Stage 2 meaningful use requirements. While eligible professionals (EPs) have until the end of February to report their progress, just 4 percent have met Stage 2 requirements thus far, CHIME cited. “Despite policy efforts to mitigate a disastrous program year, today’s release of participation data confirms widespread challenges with Stage 2 meaningful use,” said CHIME president and CEO Russell P. Branzell, FCHIME, CHCIO. Roughly one in three hospitals scheduled to meet Stage 2 in 2014 had to use alternative pathways to meet MU, administrative data current through December 1 indicates. CHIME and several other national provider associations have repeatedly told CMS that without more program flexibility and a shortened reporting period in 2015, the future of Meaningful Use is in jeopardy. CMS data indicates that more than 3,900 hospitals must meet Stage 2 measures and objectives in 2015 and more than 260,000 EPs will need to be similarly positioned by January 1, 2015. Given the low attestation data for 2014 and the tremendous number of providers required to meet Stage 2 for a full 365-days in 2015, leaders in the Congress have pressed for a shortened reporting period in 2015 with the introduction of H.R. 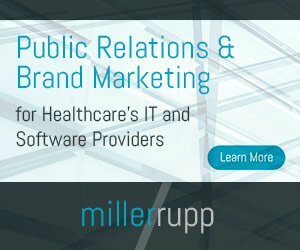 5481, the Flexibility in Health IT Reporting Act, or Flex-IT Act. Representative Ellmers (R-NC-2) and Representative Matheson (D-UT-4) introduced H.R. 5481, the Flex-IT Act, in mid-September with support from industry groups including CHIME, American Medical Association (AMA), American Hospital Association (AHA) and Health Information and Management Systems Society (HIMSS). The bipartisan bill has reached over 21 cosponsors since being introduced.